I must be psychic 🙂 as I was writing my ‘man on the moon‘ blog post yesterday John Lewis was announcing it’s annual Christmas advert, aptly named #manonthemoon. Unashamedly pulling on the heart strings and following in the steps of all the songs that celebrate the heady mix of old and young, and hearth and home that make up the best of family times at Christmas. Playing on our longing to be ‘home for christmas’. ‘Tis the Season when it is completely okay to be a total schmaltz. Even Chris Rea gets away with it while he is ‘Driving home for Christmas’. With half my family in the UK and my immediate family here with me in Sydney, Australia I always have mixed feelings at this time of year. It is difficult getting into the Christmas spirit – as I sit here listening to the waves in the distance and looking out on blue summer skies. Plenty of time for inspiration though, and thank goodness for Skype. I don’t miss the cold, dark nights but I do miss the Christmas lights and cosy fires and pubs. Carols in beautiful churches and silly christmas jumpers. Most of all I miss my family. I’m off to the beach now. I think my US friends have it right. Christmas talk after Thanksgiving. But on the other hand, if John Lewis deems 6th November the start of the celebrations, who am I to argue? I do DRAW A LINE at anything before November though. The stuff of madness, especially if you have young kids who are going to be besides themselves with pre-‘must-have’ presents/Santa’s letters/Disney movie hysteria even if you don’t start celebrations until December. My chosen ‘lift off’ point is December 1st – to go back to the ‘man in the moon’ theme…and my particular indulgence is It’s a Wonderful Life which a girlfriend and I watch every year, on opposite sides of the world, over the same weekend. And like the proverbial pearl in the oyster, grows larger and more glossy with age – like our friendship. So if you can’t be ‘home for Christmas’ – what do you miss most of all? Can you remember seeing this? Were you even alive when it happened? I was a little girl in 1969 and can’t remember any of it ‘live’ but have seen countless re-runs since. 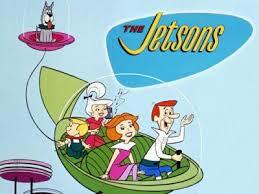 The planet isn’t overrun by airborne cars flying Jetson style all over the place…more’s the pity. But we do have high speed trains that run via magnetic levitation. The Shanghai Maglev reaches an eye watering 500kms/hour. I often (well sometimes) wonder if people feel sick when moving so fast? 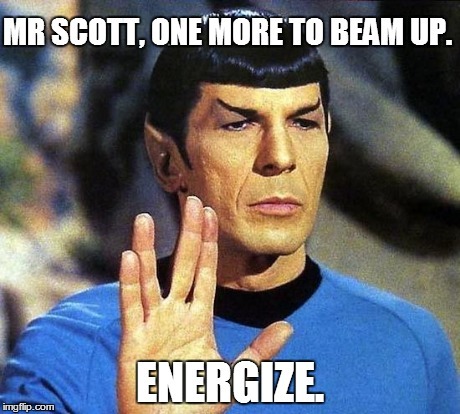 Personally, I’d like the invention of a transformer that can ‘beam me up Scotty’ and get me safely to where I want to go (anywhere on this planet is fine, I’ll leave interstellar travel to someone else at this point…). No more jet lag, no more stressing about getting on a plane. Just instant travel. 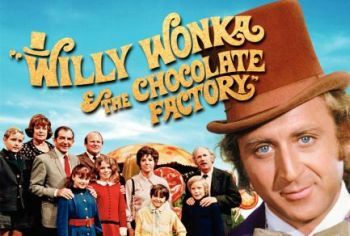 after being processed through the airwaves in Mr Wonka’s factory or even worse… but hopefully there will be a pill to numb any pre-transformer anxiety and another one to get rid of the potential nightmare ‘hangover’ that total body disintegration then reformation might bring about. I wonder if Magnesium tablets would help? They are pretty useful after a work-out. So, what invention would you like to see come about in YOUR lifetime to make your world a better place?